Apia, the capital city and business center of Samoa, located on the north coast of Upolu, with a population of 40,000 ~ predominantly indigenous Samoan inhabitants in its urban area. Central Paciﬁc Area Coordinator, Brother and Sister Bennie Blunt, are asking us to join them in prayer for this target city - the city of their residence! After much hard work,labor and patience, this lovely new multi-faceted facility in Vava’u, Tonga was dedicated last month! However, there is yet a need of approximately $11,000 USD to completely finish what must to be done. Would you please pray that God will provide the much needed funds! The really neat drawing was by a 7 or 8 year old boy that is autistic (above). He saw that a man was going to an area. It did not make any sense to us until we photocopied his picture and drew around the edge of what he drew. He saw that man going to help the people of Bora Bora. He also saw several islands that were consistent w/ the shape of the islands of French Polynesia." Greetings in the Precious Name of Jesus! As we write this update, the sun is shining, summer breezes are blowing, and the temperature is resting at around 60 degrees. After such a long, snowy winter, the Lord has blessed us with beautiful weather. We are thankful that He understands how 'we humans' need to be able to fully experience every single season that He created. He knew that the seasons would be necessary, not only for nature, but for us. He truly does all things well! There is much turmoil in our world right now, and some may be experiencing personal struggles as well. Whether our seasons are full of happiness or suffering, God sees each and every one, and He lends His hand in assistance however, and whenever, we need. We simply have to remember to allow Him to help us! Summer has proven to be a wonderful spiritual season in Finland thus far, and we are excited to share it with you. God has certainly been good to us. 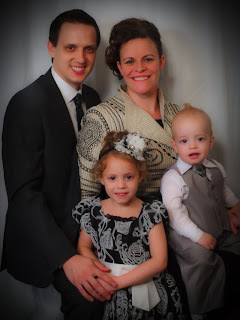 On May 27, our first Associate in Missions (AIM) help arrived in Finland. Zachary Mitchell of Emmanuel Pentecostal Church in Mesquite, Texas, has been a great help to us. We cannot possibly begin to list all of the benefits of having his assistance, but two stand out the most: he has been spending much time doing prayer walks throughout Helsinki (either with or without us). This is an extremely important ministry, for while we cannot always physically see the results, we can definitely feel them. The spirit world is being greatly impacted! He is also working side-by-side with one of our dear Finnish friends to create a Finnish translation of Bible study charts. His help has been invaluable, and we are grateful to Pastors Richard and Chad Flowers for loaning him to us for two months. 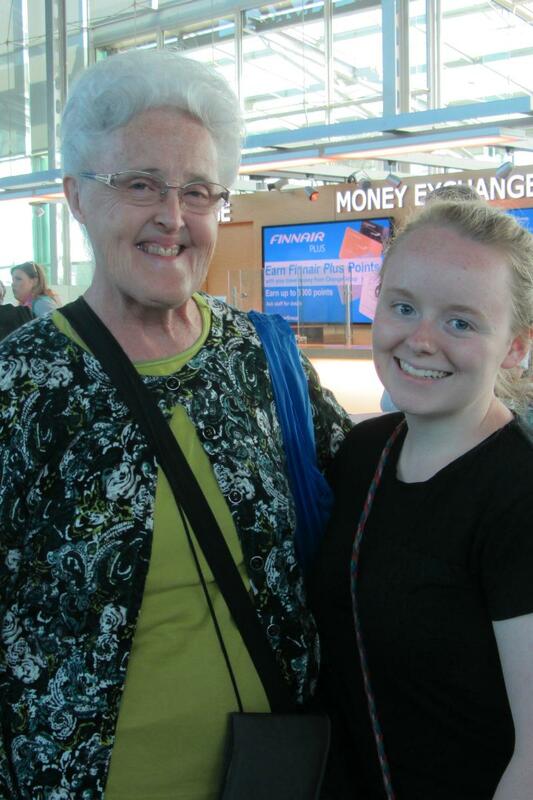 During the first part of June, Veteran Missionary Darline (Kantola) Royer came to spend a few days in the homeland of her grandparents. During deputation, it was a joy to discover that she was half Finnish, so it was doubly special when she asked if we could share our wonderful country with her. She was able to meet all of our home group members or Bible study students at one point or another during her trip, and it was fun for them to discover that she was part Finnish! We appreciated her ministry to our home group. We are also grateful for the friendship that she has extended to our family. A new Finnish family is taking part in our group meetings, with the mom saying that she is choosing to make us her church. We have a Bible study scheduled to begin following their summer holidays. We were contacted recently by someone that Candace had given directions to once while out in the city. He is looking for a church home and wants to visit our group. Our ongoing studies are proving to be profitable. Our students have said that they thoroughly enjoy learning, and they always look forward to meeting with us. ...that we would have wisdom in providing the information that our students need to make informed decisions about salvation and their relationship with God. Bind confusion, error, apathetic approach to Truth and the necessity of salvation. Loose wisdom and knowledge, the spirit of God to bring conviction. To date, we have lost approximately $3,000 in monthly support since our arrival in Finland. THANK YOU to those who have recently PIM'd us, and to those who have faithfully continued to do so. We could not possibly 'do what we do' without you. ...that we would attain the additional funds needed for our budget to be sustained until deputation (currently scheduled for January 2015). Bind spirit of poverty, loose financial blessings on those who have a desire to give but cannot due to economic constraints. Please feel free to share this with anyone that you feel would be interested in TEAM FINLAND. We hope that this has found you well and enjoying the Lord's blessings. We pray for you often, trusting that God will supply all of your needs. Thank you for the time that you have spent praying for both Finland and our family. Please know that you are making a difference! Just wanted to start by saying a big thank you for having a burden for Uganda! Without you it would not be possible to see what God is doing in the hearts of people! 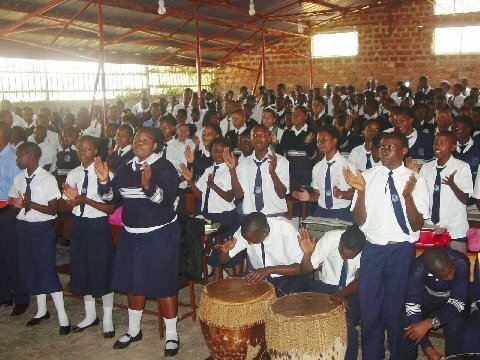 Last week we gave a Bible Study to two pastors and baptized them as students at the Kampala Apostolic Secondary School looked on and worshipped God. Last week, In a two day Seminar in Kabingolinja, a preaching point became a CHURCH! A miraculous healing took place, and many were moved to join the church. God wants to show himself mighty! Kazabe Joyce started a church in Nyanga a month ago and has had 45 people baptized and received the Holy Ghost. In Kyabayima the Pastor had died and we were installing a new pastor, 8 received the Holy Ghost, 4 baptized in Jesus Name. Kinyinya, Pastor Kabbara Annasette; three received the Holy Ghost. 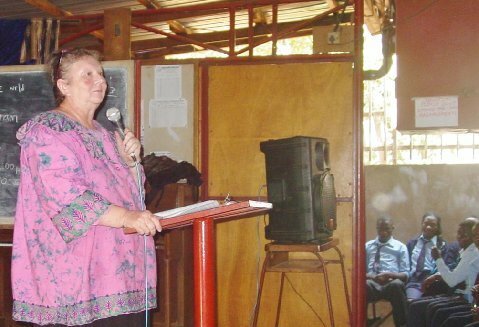 Nabingoola, Pastor Ruhhweza Gertrude reported a mighty healing in the Church Service. 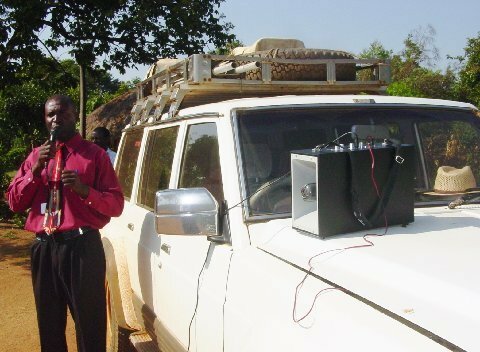 Katamba, Pastor Barongo John, two Anglican men received the Holy Ghost and seven folks were baptized. In Lira Town last Sunday, the Church marched to the city park a few blocks away and held an open air service. Over a hundred people pledged to visit the church! This Sunday they had over a hundred visitors as God moved in the Service. I will be there in two weeks and will have a baptismal service and another open air meeting in the Park. 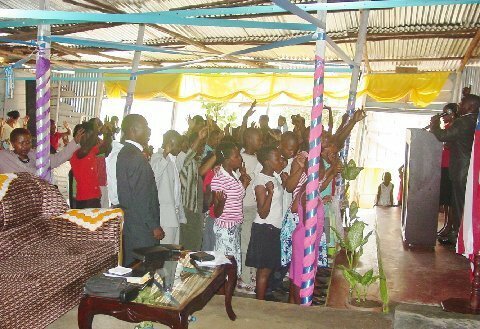 Sunday (7th) we preached at one of our new churches here in Kampala, the church is in Nansana and 19 people received the Holy Ghost. I was there a month ago when nine folks received the Holy Ghost, one of the ladies who had received the Holy Ghost in that service, stood and testified, that after receiving the Holy Ghost, she talked in tongues for days, wherever she went, she talked in tongues and many people rejoiced in her experience. 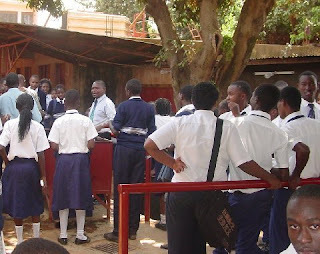 I also wanted to say a few words about our two Schools in Kampala. Sis Tolstad does a tremendous job working with the Primary and the Secondary Schools. There are over 1,000 students and 100 teachers and staff in the schools. It is totally self supporting as we do not put one dollar into the schools from Mission funds. 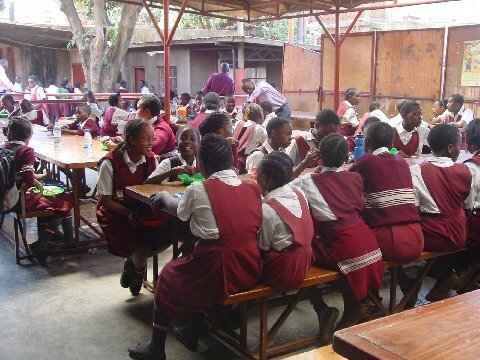 It is a daunting task as there are problems every day, yet the schools are recognized as one of the best in Kampala. Sis Tolstad has worked very hard to bring a Christian influence to the lives of these young people. There are 19 countries represented (Many are Refugees), many religions, about a third of the students are Muslim. Through it all, we have seen God do some great things this year as close to fifty are attending the Youth Services on Sunday and about a hundred stay after school to attend Wednesday night teachings. It is not easy for them as life is very difficult here in Uganda, but Jesus is our HOPE! This past week we were in the Bushenyi District in Western Uganda. It borders DRC (Congo) where there is still a lot of fighting going on. Over 60,000 refugees from Congo have come into Uganda. Many of the Rebel soldiers have also come, hiding as refugees, causing many problems. As Uganda has over 20,000 troops stationed in Somalia, Al Quaida has targeted Uganda. But we thank God for a safe journey and a great move of God. It was a four day Apostolic Doctrine Seminar teaching classes all day. 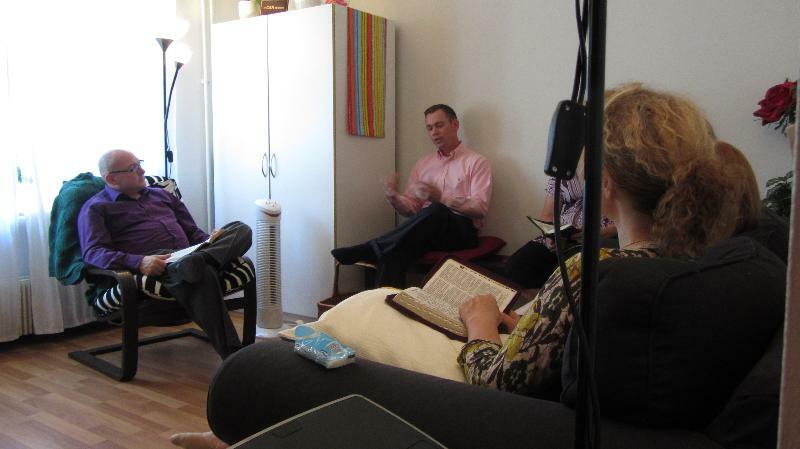 On Thursday and Saturday we spent several hours answering questions that they had on doctrine, tithing, holiness, etc. Twelve folks received the Holy Ghost, 15 Baptized in Jesus Name, two baptized where pastors who have seen the Revelation of God and Jesus Name Baptism. We had a Pastors meeting on Sunday afternoon and am happy to report, they are now preaching the message of Salvation. On Sunday morning a Sister in the Church testified that Saturday night when she arrived home, they brought her son from the school very sick, she rushed him to the hospital and the Doctor could not find anything wrong, however he just quit breathing and the as the Doctor could not resuscitate him, told her to take him home. When she arrived home, he was quite dead, BUT in the Seminar we taught on Faith in the Word of God for the impossible!, she called some saints together and they prayed for her son. She said, she did not expect to be in Church on Sunday morning as her son had died, but she was there WITH her son, as God raised him and healed him completely! JESUS is a BIG GOD! He heals, saves and is a mighty God! Pic 3: Pastor Mahulu David preaching with a portable megaphone. 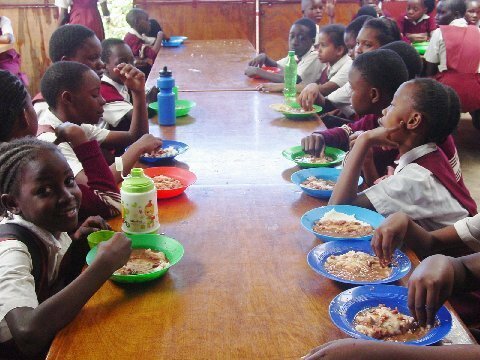 Pic 4 & 5: Primary Students eating lunch; YES, they eat with their hands. 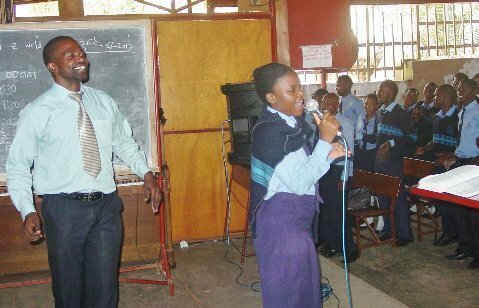 Pic 6-10: Secondary School Chapel Service; Worship & Sis Tolstad Teaching. 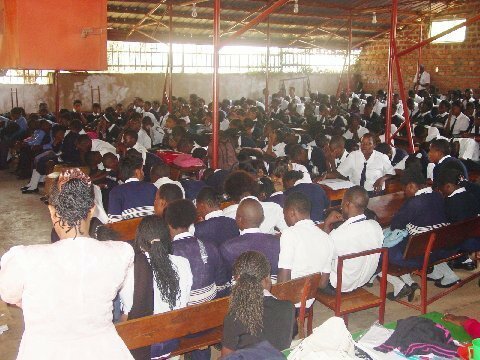 There are over 400 Secondary Students at school. 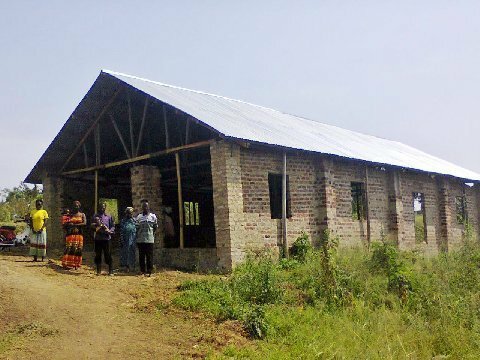 Pic 12: New Church in Katamba, not quite finished, but services are being held! Happy Fourth, Everyone! Hope you are having a wonderful time with your family & friends as you celebrate the freedoms that our wonderful country has! God Bless America! Well, we are still busy with the Bible School, & and the windows are finally in. Thank You, Jesus! We still have more to do: we need a security fence, paint for he building interior & exterior, ceiling time, security door, holes that need patching, more bathrooms, and a school kitchen. But, unfortunately, we are out of funds and in dire need for more. We need your help; could YOU help us, help them?? We NEED you, & Panama NEEDS you! Will you pray? Could we count on YOU? We just want to say how we appreciate every one of you for sacrificing to give! We certainly couldn't do it without your help! We love you, and you are in our prayers! There were a total of 12 men and women, representing 5 nations (Equatorial Guinea, Cameroon, Congo, Ghana, Nigeria), that received GATS Certificates after successfully completing the certificate level of training. This school operates in three languages: English, French, and Spanish. It was an exciting ceremony, with a great attendance, including the Honorable Consular of the Republic of Congo and the General Secretary of the Minister of Justice of Equatorial Guinea. The service was very well organized and served as a very positive witness of the United Pentecostal Church in Equatorial Guinea. To God be all glory! The service received coverage by national television and clips of the service were still being shown as of yesterday. 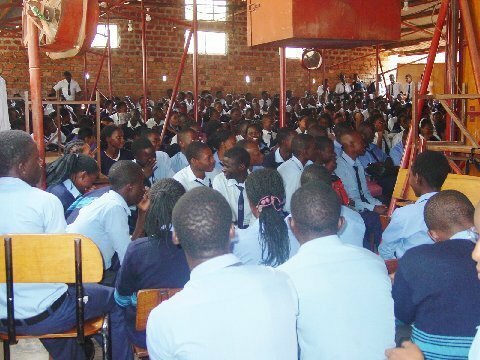 One reason it drew so much attention is because our Bible school is one a very few in the country, and the government has begun to press all pastors to receive training for the ministry. Sister Adams added on Facebook: The government sent a guy to video it and so while we were sitting in the airport waiting on our flight to leave, and the TV was on giving the news around the country, I was surprised when I saw my husband come on the screen, it was the graduation, they showed about 5 minutes of the graduation that took place on Saturday at the "Iglesia Pentecostal Unida de Guinea Ecuatorial Instituto de Fe de Teologia". The news media gave a very good report on the graduation. 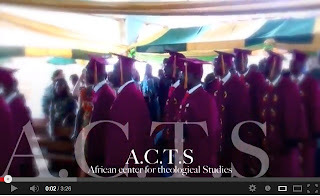 We were privileged to preach the 2013 graduation of ACTS (African College of Theological Studies) in Accra, Ghana on June 15, 2013! On the same day, a graduation ceremony was held in Lomé, Togo for the Institut Biblique de Togo. What a blessing to be involved with these two great schools that continue to launch ministers of the Gospel into the harvest. Ten graduates in Ghana represent the next generation of leaders beginning their service to the Church! The eight graduates in Togo represent 3 different nations. Togo, Burkina Faso and Central African Republic are all now better equipped to reach their populations with the Gospel! Brother Burk, our executive assistant here at the office was busy, busy, busy last week printing about a hundred or more GATS certificates at various levels for the schools in Spain. Exciting progress. We are very thankful for your faithful support and prayers on our behalf. Uruguay is a country of 3.5 million souls that desperately need Jesus. Your thoughtful giving enables us to bring this Gospel of Salvation to this beautiful land. The challenges are many, spiritual warfare a daily engagement. However, the gates of hell shall not prevail against the Church. Engage with us in prayer as we storm the principalities and powers of Uruguay. VICTORY is a sure thing. We are the VICTORIOUS CHURCH! I want to bring your attention to the links in our story lines. Each one will take you to a particular page on our Facebook site. Again, thank you for your commitment to the Walmer family. We are certainly thankful! God bless you! How are you, my friend? I hope everything is well with you, your family and the church. We are doing well, keeping busy in our work here in Uruguay and in the region. 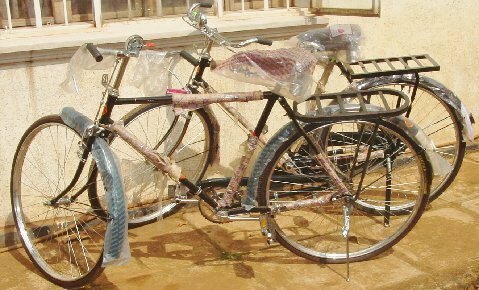 Missionary work can have its challenges; nevertheless, the rewards are incomparable! I thank the Lord daily for the call of God to work in Global Missions. I have been traveling a lot these past three/four months. 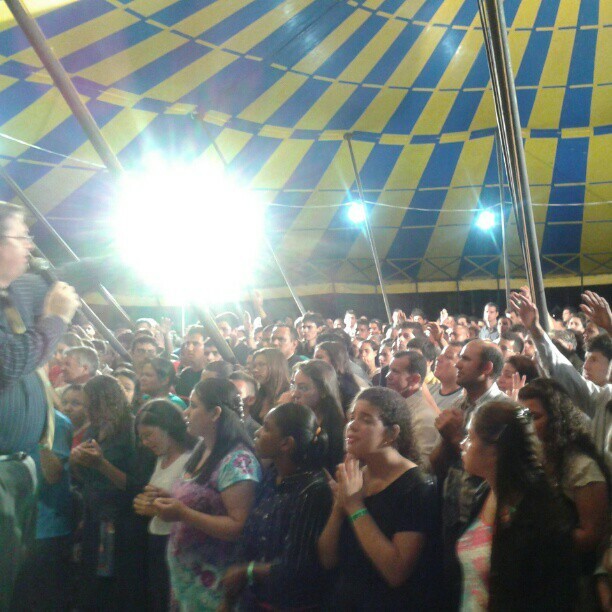 In February I was at a District Youth Congress in southern Brazil where I ministered and translated for another David de Asis from Argentina. We had 100+ receive the gift of the Holy Ghost, and several were baptized. Try clicking the links below to check out all the activity in Uruguay and in the region! I also had the opportunity to be a translator at the Executive Global Council in Dubai, UAE. That was quite an experience to say the least. 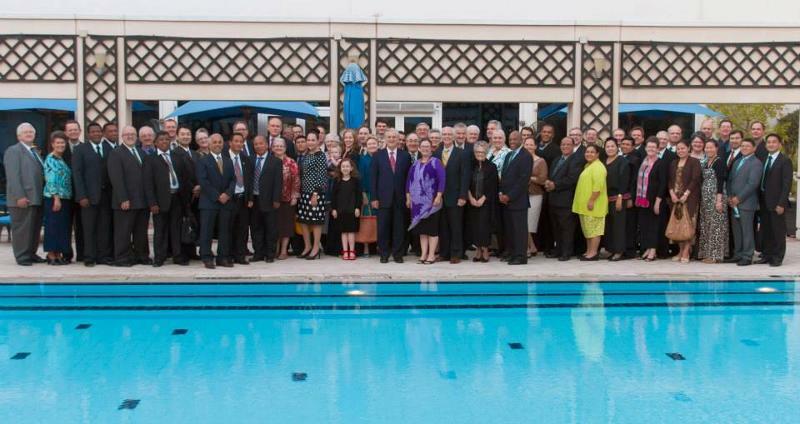 It was an honor to be involved in this forum and watch our leaders from around the world make policy and procedures for the international church. Our National Conference was held toward the end of April. We had a young minister from Argentina and a pastor from Chile as special guests. What a time we had in the Lord! They say it was one of the best conferences in the history of the church. We had 7 get the Holy Ghost. Praise the Lord! Three of them were from our local church! Hallelujah! In May I was back in Brazil on two occasions. I preached at the District Conference in Bahia (northern Brazil) where three received the Holy Ghost and later that month participated in preaching and translating at a Minister's Conference in southern Brazil similar to Because of the Times. On Sunday night we held a crusade, open to the public, and we had 74 people get the Holy Ghost and several miracles, including blind eyes being opened! It was such a powerful time in the presence of God. As to speakers, we enjoyed Rev. James Hughes, David Smith, Mike Watts, James Stark, Ivana Norris and David de Asis, from Argentina. On the third weekend of this month, we had our Pentecost Sunday Rally in our local church! We had an evangelist from Argentina come to speak. We had three get the Holy Ghost and several mighty miracles take place; one lady could barely walk when she came to service that night and, at the end of the service, she gave her testimony and started to run around the church! God is awesome! 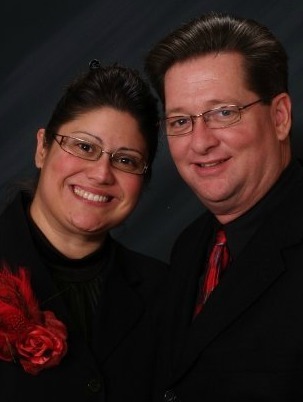 We are excited about our local church and the spiritual growth we are seeing in our people! There is such a yielding to God and a freedom of worship that testifies of what God is doing in the hearts of each one. We see more dedication and consecration. We have had some backsliders return to the Lord and really praying and calling on God. I am thankful. This last Tuesday I paid a visit to a neighbor of one of our saints, who has suffered from panic syndrome for years. She had been to many doctors and was being told she needed to be hospitalized in a mental hospital. We prayed for her, her home, walking through each room, binding the spirits, and she has been healed completely. She and her family will be in church this Sunday! Thank you for giving to the Walmer family! You make this mission possible! God bless you! Thank you for your prayers and support! We were able to pause our deputation to spend a month in Spain with our church in Barcelona. During our time home in Spain we preached "healing" services in several of our churches. During this month of services there were over 120 people that testified of miracles of healing. We saw blind eyes opened, deaf ears unstopped, twisted legs straightened and many other notable miracles. God uses the miraculous to reveal His power to the unbeliever. We currently need 91 more monthly partners to complete our budget and return to Spain. If you would like to invest in the revival in Spain, you can enroll as a monthly partner by clicking here. Please contact your Global Missions director if you would like to schedule us for a service. There was excitement. There was expectation. There was a commission. The sixteenth annual ACTS graduation took place at the headquarters church on June 15th with six hundred and twenty-five in attendance. We were thrilled to send ten more laborers into the harvest. What a privilege it is to influence individuals who will impact eternity. Our guest speaker, Missionary Craig Sully, did a fabulous job preaching on “The Forbidden Fruit.” He cautioned the graduates to not grow weary, for in due season they would reap if they did not faint! Many were encouraged and uplifted by His Spirit and through His Word. Ghana has been blessed with the various talents of AIMers. 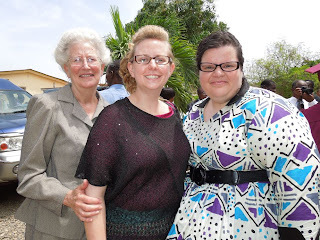 It was a special joy to have had former missionary kid (MK) to Ghana, Melinda Poitras, with us for almost six months. It was a happy sad time when we said “see-you-later” on June 26th. Yet, in the same month we welcomed two Texans: Mary Knight and Amber Otwell. AIM responsibilities can include anything from helping and teaching at the Bible College to writing lessons, helping homeschool, office administration, multi-media presentations, teaching Sunday school, and preaching – being an extra set of hands. It is our desire that AIMers bless the work and the work blesses them. Thank you for your prayers. Thank you for your support. We are feeling and seeing the difference. The last two weeks in Uganda have seen God do some tremendous things. In the town of Lira at the Sunday service, the crowd grew so large the service was taken outside to a park, and over 500 people were in attendance. God moved mightily as many testified to healings, and many received their personal Pentecost; as the number was so large, we where not able to get a count. A doctor from Indonesia, working at the Hospital in Lira, said he had never felt God like he did in that service. Baptismal service is planned for next Sunday. In Adjumani, record attendance was broken with over 145 adults. Four where baptized in Jesus Name. In Nkumba village on Lake Victoria, five received the Holy Ghost and three were baptized. In the last week, there have been 19 baptized in that church. In the church of Kabalagala/Nsambya last Sunday, three received the Holy Ghost! As the altar service was happening, my wife pointed out a little boy sitting on the floor to me; he was about four years old and he was just sitting on the floor with his hands in the air, tears running down his face as he was worshiping. What a great manifestation of the presence of God when even Children feel the mighty power of God! Doctrinal Seminars are being planned for Naymaingo, Busia, Bugiri and Bulecha this week. Next week an anniversary service in Nansane with many trinitarian pastors in attendance. In July we are having an Doctrinal Outreach in Bushenyi in the West and in Amolotar, Kaberamaido, Dokolo and Apac. If you would like to sponsor a Doctrinal Seminar, please let us know. Our ability to have these seminars and travel is dependent on our finances. We are receiving many reports of God opening many doors and confirming his Word with miracles and wonders. Several new churches have been started in the last two weeks, but I have not been able to receive those reports. Two new Area Coordinators have received their "pickey pickeys" (Motorcycles) so they are able to travel into the far reaches of their Regions, so we expect to hear great reports from them soon. 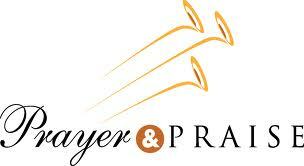 Help us Pray for Peace in Uganda as there have been some political unrest, riots and deaths throughout Kampala. We need Peace in the country to travel and preach the Gospel. Thank you so much for your prayers and financial support as we work to reach every tribe and village in Uganda! We cannot do it without you! If you would like to have someone else receive our monthly emails, please send us the addresses, if you want to be removed from our list also just let us know. Second: Pastor John (Baptized two weeks ago, the youth choir singing. Ninth: Receiving the Holy Ghost at Baptism!